From Oct. 18 to Oct. 21, Haverford and Bryn Mawr Colleges hosted the annual conference of the Association for Political Theory (APT). The APT is an international association dedicated to the promotion of political theory and political philosophy. The APT—whose inaugural conference was held in 2002—is different from many other academic conferences due to its smaller size and rotating location at colleges across the country. This year, there were around 240 participants which, unlike many previous conferences, included undergraduate students. Borowiak was the lead organizer of the conference, but there was a larger hosting committee which included Bryn Mawr professors Joel Schlosser, Stephen Salkever, and Jeremy Elkins, as well as Haverford professors Paulina Ochoa and Thomas Donahue. “We are lucky to have so many theorists in the Bi-Co,” Borowiak said. Another defining characteristic of the APT is its emphasis on mentorship. The program committee makes explicit efforts to combine scholars at different stages in their careers on the same panel. As a result, panels will often combine graduate students, junior professors, and senior professors. “Oftentimes when you go to a mainstream political science conference you will have friends, many of whom are senior colleagues, who create their own panel and sit around as buddies talking about a shared topic. This conference rejects that model entirely,” Borowiak said. The association also directly facilitates individual mentorship relationships among members and offers training and workshops at the conference. A novel aspect of the conference this year was the inclusion of undergraduates. Only two previous conferences had included undergraduate presentations. At lunch on the second day of the conference, in Bryn Mawr’s Great Hall, a variety of undergraduates from Bryn Mawr, Rutgers, Haverford, the University of Pennsylvania, and Ursinus College gave poster presentations on their current research. They were each assigned a current scholar in their field of research to visit their poster, ask questions, and provide mentorship. The poster presentation was such a big success that students ended up fielding questions from a variety of conference attendees. Borowiak has wanted to bring the APT to the Bi-Co for years but a limiting factor was always Bi-Co’s lack of access to a nearby hotel—the closest hotel with a sufficient number of rooms, the Conshohocken Marriott, is a 15 minute drive away. However, a few years ago, the organizers of the conference finally convinced Borowiak; the issue of the hotel solved by buses which regularly traveled to and from Haverford, Bryn Mawr, and the Marriott. Funding for the conference came from the APT (the conference charges attendees on a sliding scale), Haverford’s President Office, both Bryn Mawr and Haverford’s Provost offices, and the Bryn Mawr Political Science department. 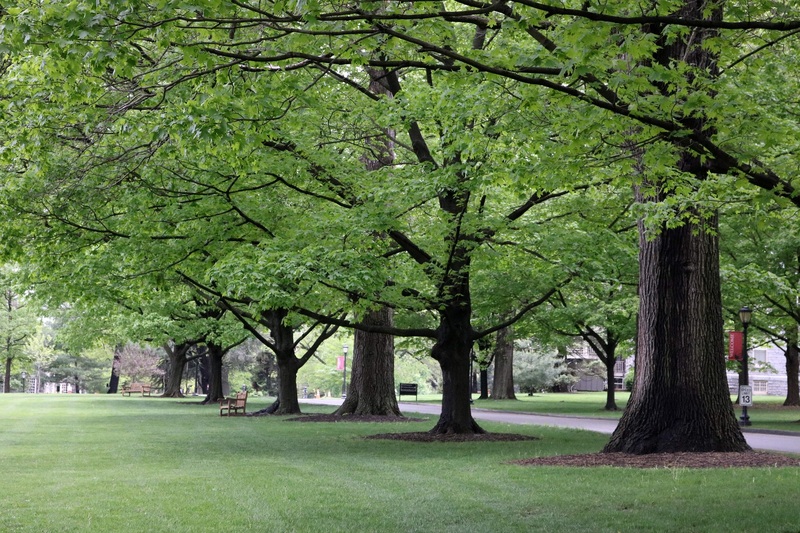 The Lang Center at Swarthmore also sponsored the opening reception. Subsequent receptions were sponsored by the Contemporary Political Theory journal and the Political Theology Network. Several publishing presses also sponsored different meals and coffee breaks throughout the conference. 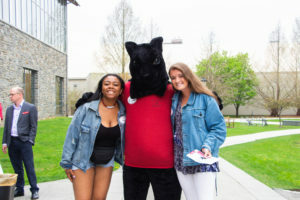 Other groups such as Haverford and Bryn Mawr’s facilities departments, the dining centers, and, finally, a group of student volunteers were also instrumental in ensuring the conference occurred.